What Does On the Rocks Mean? While some drinking terms are commonly known, sometimes even the most basic terms need an explanation. Knowing bartending terminology is an essential for any good bartender. By learning these basics, both old and new bartenders will have an easier time taking on new recipes and ensuring the best quality drinks. The more you know, the more customers will notice and continue to patronize your services and suggest that their friends do so as well. When ordering a drink it’s also important to know the correct vocabulary to use in order to get exactly what you want. 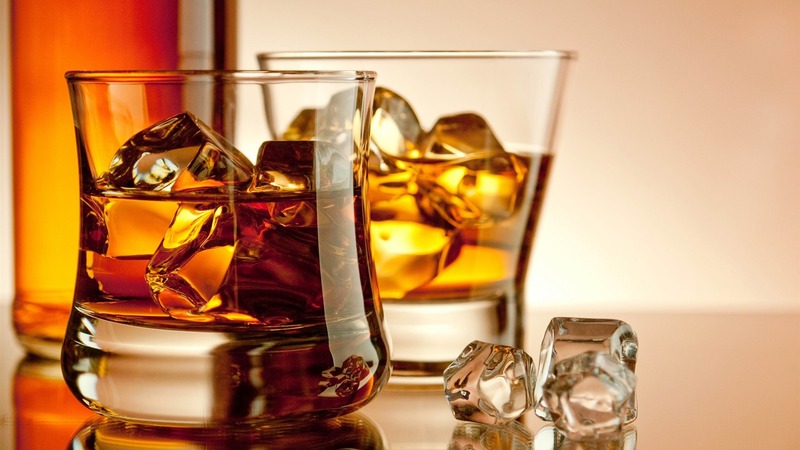 Saying straight-up when you really wanted your whiskey on the rocks might be frustrating, but can be easily deterred if you learn what each of these terms means. Liquor served over ice with no wash (note: wash is another term for “mix“). Example: Scotch on the rocks. A drink served neat is liquor served straight from the bottle without ice or wash.
A straight up drink is liquor served up without ice or wash.
A drink served up should be mixed with ice and then strained so there is no ice in the drink when it is served cold. A wash, or mixer, is a non-alcoholic beverage used in mixing cocktails. Examples: Cola, orange juice, sweet and sour mix, soda water, or tonic. To rim a glass, coat the rim of a glass with salt or sugar. A beer or non-alcoholic drink served alongside a strong shot or cocktail is called a chaser or a back. A twist is the peel of a lemon or lime twisted into and placed on the rim of a cocktail glass, or dropped into the drink. Example: Scotch, on the rocks, with a twist. A splash, or dash, is a small amount of liquor or mixer added to a drink. Muddling involves crushing and mixing ingredients to release flavor. To float, poured a small amount of alcohol carefully on a drink so that it will float on the top. Layering means to pour liquor in a drink in layers, usually with the heaviest on the bottom. A jigger is a shot-sized cup used to measure alcohol. A pony is a measurement in mixology that equals one ounce. When shaking, you use a cocktail shaker to mix ingredients together more thoroughly. To blend, mix cocktail ingredients in a blender with or without ice. Garnish by adding a vegetable or fruit to a cocktail for additional flavor or decoration. Example: Garnish with a wedge of lemon.